We’re hours away from the launch of the latest addition to the Tiago family, the Tiago NRG. Pronounced ‘energy’, this version is nothing more than a Tiago with a raised ground clearance, a few subtle aesthetic tweaks and minor feature additions. Expect the cross-hatch to be available in a single, fully-loaded variant based on the XZ trim. This means goodies such as the 8-speaker Harman music system, cooled-glovebox, steering-mounted audio controls and reverse parking sensors will be on offer. Also, the 2DIN music system from the Tiago is likely to be binned in favour of the 5-inch touchscreen unit found on the Tata Tigor compact sedan. On the aesthetics front, the NRG will have a raised stance courtesy a 10mm bump up in ground clearance. Also new will be 14-inch dual-tone alloy wheels. 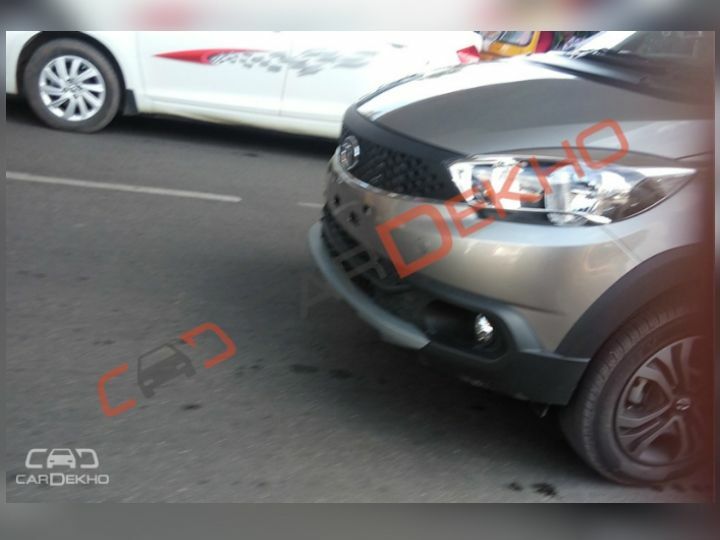 The pictures clearly show rugged-esque elements such as faux skid plates, roof rails and body cladding. We’re digging the dusty sand paint too, even though it looks a bit too similar to the paint available on the Ford Freestyle. Do not expect any mechanical changes with the NRG. The 1.2-litre petrol and 1.05-litre diesel engine will soldier on under the bonnet, paired with a 5-speed manual transmission. Unfortunately, an automated manual transmission may not be offered at launch. Currently, the Tiago XZ costs Rs 5.21 lakh for the petrol and Rs 6.05 lakh for the diesel version (both prices ex-showroom Delhi). Expect the Tiago NRG to cost about Rs 5.5 lakh and Rs 6.4 lakh, respectively. The hatchback will slug it out with the CelerioX, prices for which range between Rs 4.63 lakh and Rs 5.48 lakh. Nice car but some exchange offers? Nice car but some exchange offers? Share your experiences with Tiago NRG? Confused about Tata Tiago NRG?